SimiSodaPop | A Refreshment Of Bubbly Gossip! | Beauty, Fashion, Food and Entertainment: Health Minute: Shloer - sparkling juice drink in "red grape" & "white grape"
Health Minute: Shloer - sparkling juice drink in "red grape" & "white grape"
Here is a brand called Shloer, UK's number one adult soft drink brand. I tried out their Red Grape and White Grape flavors. Right now those are the two flavours that they are offering to Canadian consumers. They use only the best ingredients in their nice selection of delicious non-alcoholic sparkling grape-based juice drink that your friends and family will LOVE. I'm so happy to have found out about their brand because I love these drinks now! I think their sooo perfect for Holiday parties and events, it's a very nice non-alcoholic wine alternative that is safe for ALL ages! The packaging is even pretty and bold. Red Grape is a sparkling rich toned and fruity flavour that is sure to satisfy those who like a true wine too! Makes a good evening party/event drink. White Grape is a sparkling light and refreshing crisp white grape flavour, this makes a good afternoon party/event drink very elegant. 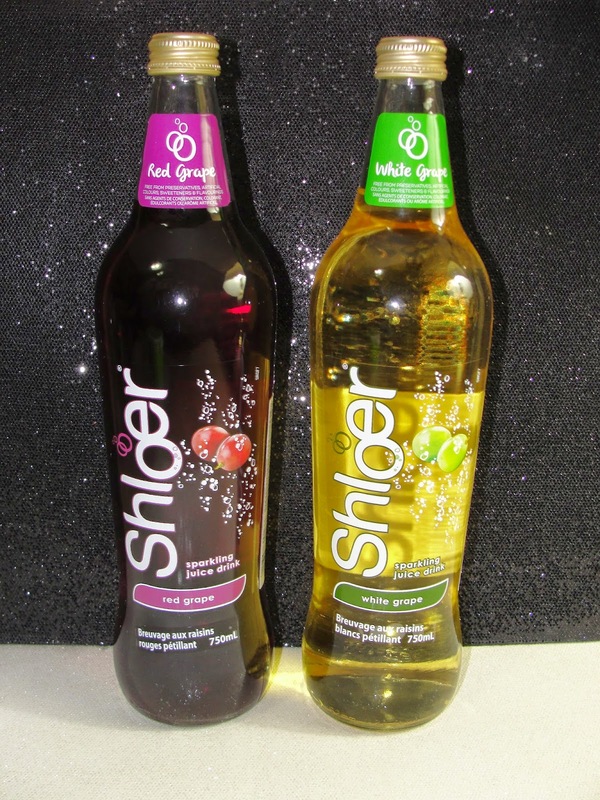 I'm looking forward to trying more flavours from Shloer for the new year! Shloer selects the finest tasting crisp white grapes and highly aromatic red grapes from the sun-kissed vineyards of La Mancha in Spain - Europe's largest grape producing region - to create its unique tasting blends. Shloer contains no preservatives, artifical colours, sweeteners or flavourings making it a firm favourite for family occasions, mum's-to-be and those looking for a non-alcoholic beverage alternative. Available in 750 ml bottles at Metro Ontario and other fine food retailers across Ontario, B.C., Alberta and Manitoba. All Shloer flavours contain no preservatives, artificial colours, sweeteners or flavourings. All flavours are suitable for vegetarians and are best served chilled. Refrigerate after opening and consume within three days. Available in 75cl and 275ml bottles. Deliciously refreshing, crisp and light, Shloer White Grape is a sparkling addition to any picnic or light lunch. 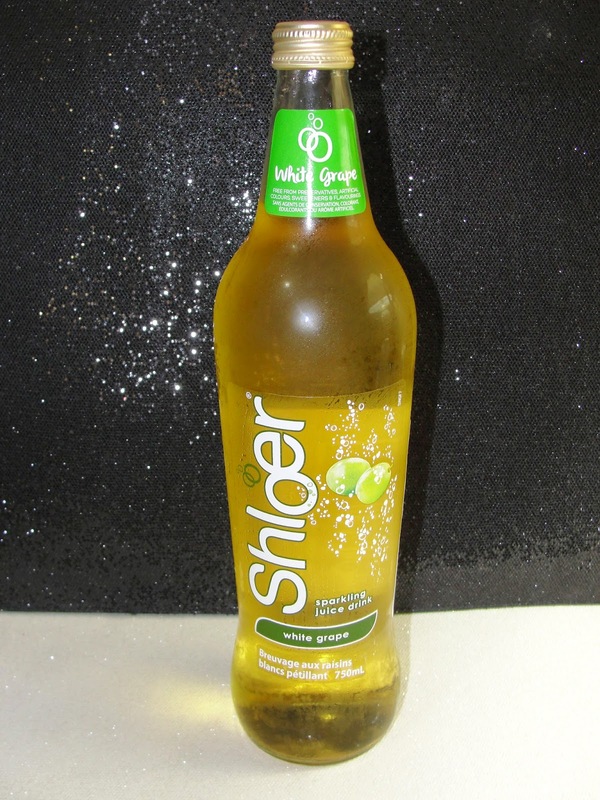 Made using the finest white grapes and sparkling water, Shloer White Grape is a sophisticated adult style soft drink.